Decorated warbonnet. The elaborate cirri on the warbonnets head may help to camoflage it among the rocks and crevices that it inhabits. 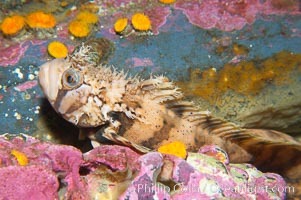 Decorated warbonnet, Chirolophis decoratus Photo. Decorated warbonnet. The elaborate cirri on the warbonnets head may help to camoflage it among the rocks and crevices that it inhabits. 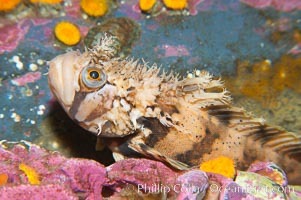 Decorated warbonnet, Chirolophis decoratus Picture. Decorated warbonnet. The elaborate cirri on the warbonnets head may help to camoflage it among the rocks and crevices that it inhabits. 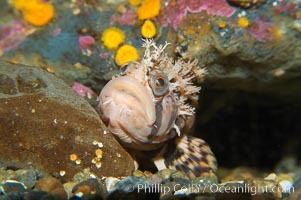 Stock Photography of Decorated warbonnet, Chirolophis decoratus.